KINGSTON — Minister of Finance and the Public Service, Hon. Audley Shaw, says Government’s primary objective will be to make full use of current financial stability to create a base for growth and prosperity. Opening of the Budget Debate in Parliament on Thursday April 28, Mr. Shaw said the Government plans to achieve a balanced budget by 2015/16. He said there was no doubt about the economic stability emerging in the country’s economy, and there were clear indicators in several areas. “In the context of improved market confidence, the Bank of Jamaica reduced the interest rate on 30-day Certificates of Deposit (CD) over fiscal year 2010/11 by a total of 375 basis points to 6.75 per cent (from 10 per cent in March 2010),” he said. The easing of the Bank’s policy stance created the basis for further declines in market rates. In particular, the 90-day and 180-day Government of Jamaica (GOJ) Treasury Bill yields declined to a historic low of 6.46 per cent and 6.63 per cent, respectively, at the end of March 2011, from 10.18 per cent and 10.49 per cent at March 2010, he said. “In addition, yields on GOJ Global bonds declined by 50 basis points over the fiscal year,” the Minister told Parliament. Mr. Shaw said in addition to effecting rate reductions, the Bank of Jamaica lowered the cash reserve requirement (CRR) and the liquid asset requirement (LAR) against the Jamaican Dollar liabilities of the deposit-taking financial institutions to 12 per cent, from 14 per cent, respectively. “This action was in an effort to promote an ease in domestic credit conditions and enhance the pool of loanable funds within the commercial banks by $4.5 billion,” the Minister said. Meanwhile, Mr. Shaw said he was heartened to see that since Wednesday April 27, one of the country’s largest commercial banks has taken the lead in reducing its Base Lending Rate by 100 basis points to 15.75 per cent, down from 16.75 per cent – the lowest in over 27 years. He said the bank concurrently announced an additional $500 million Productive Sector Growth Loan Fund. “This offer will be made available at a concessionary interest rate of 8.95 per cent, down from the previous 9.95 per cent, to Jamaican businesses in the productive sector. I commend the Bank in taking this lead role,” he noted. 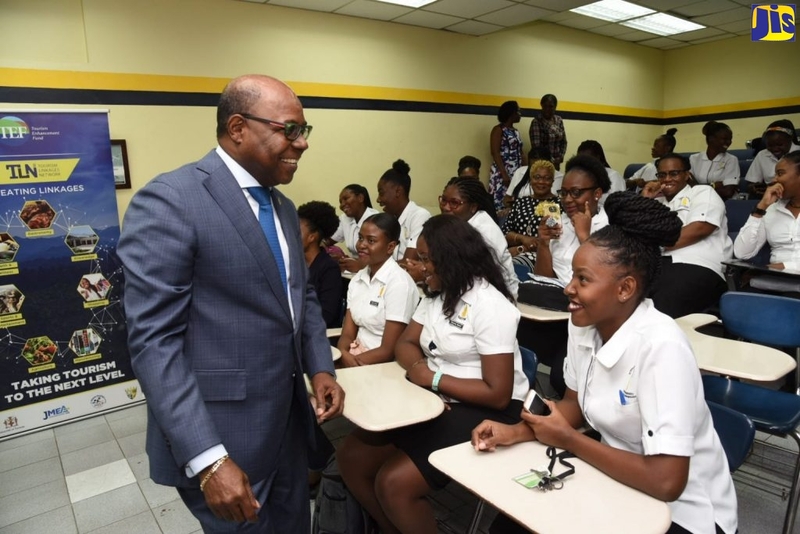 The Finance Minister, however, said this was just the start and asked the local banks to continue on a path towards single digit prime interest rates.